What would Jesus do? Switch agents! Moye Sports Associates, Inc.: 5400 Laurel Springs Pkwy Suite 401 Suwanee GA, 30024-0000 (404) 577-3700. Suwanee, Georgia. One of the top 10 places in America to live, according to Money Magazine. And a darn good place to locate a sports management company, if you ask me. A little more research revealed that Moye Sports Associates is run by Mike Moye and former pitcher Scott Sanderson. The firm last made headlines in 2001 when they dropped their biggest client, White Sox slugger Frank Thomas, after he skipped a few workouts to protest his contract. Former major leaguer Sanderson became a partner at Moye Sports after a long and distinguished playing career. He earned an All-Star selection in 1991 and finished with a 163-143 record, a 3.84 ERA and 1,611 strikeouts with seven different teams. 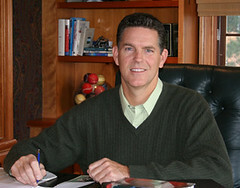 No word on whether Sanderson adhered to the “three source rule” when investigating Christ’s claims (He has yet to publish his findings), but Sanderson is relishing the opportunity to “counsel his clients in a broad range of issues like handling success and failure on the field, dealing with a difficult manager and playing through injuries” – all for a mere 10 percent (give or take). Today, Moye Sports Associates’ clients include Boston ace Josh Beckett, Houston first baseman Lance Berkman and Colorado first baseman Todd Helton, as well as Detroit Lions quarterback Jon Kitna and U.S. Olympic sprinter Allyson Felix. 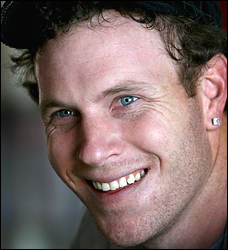 Now you can add Josh Hamilton, a former heroin addict with colorful tattoos and 65 RBI, to that list. And now that Hamilton is on board, it’s about time to negotiate a long-term, multimillion dollar deal. Because, after all, what would Jesus do? I did some investigative journalism on Jesus once. Found out he was dead. Big disappointment. Evidently you did not investigate far enough…if you did you would have found that after being dead for three days, God raised Him from the dead to die no more. Furthermore, Jesus Christ is now seated at the right hand of God awaiting the time when He will return to earth to raise the righteous dead and establish the Kingdom of God. If you believe this, you will never be disappointed again and you can accept the Lord Jesus Christ’s invitation to be part of that Kingdom. also, this gave me a big WTF?? moment. somehow, I always pictured him in more of the devil’s end of the spectrum. Wait, don’t Red Sox fans think Beckett is Jesus? Nah, that was Johnny Damon, back in the day. But he turned out to be a false prophet. Now we know the true path to enlightenment is through the Manny Lama. I could go on and on…the possibilities are endless here. thanks folks, I’ll be here all night. also…do you think Jesus is a Bill James fan? or rather…a Bill James disciple? yes, he was very Jesus-like last season, but this season I’m reading from the Book of Jacoby. the only way to explain his lightning speed is that he’s half human, half divine. Jacoby Ellsbury is crazy fast. He is now on pace to steal 80 bases this year, and has still only been caught one time. If he gets any faster, I’m gonna have to consider converting to Mormonism. my Irish-Catholic father likes to say, “there he goes, stealing from the white man again – typical!” then laugh at his own joke. What will Jesus do when you he asks you why you flip around his name as if it were a joke???? A lot of wise guys, who thought they were brilliant before men are gonna look pretty stupid when their day comes. How about doing something really smart, like Josh did, and ask God for forgivness? Then everyone else can make fun of you too. But trust me..you wont care because you’ll only be trying to impress the one that really matters. I think Jesus would be flattered, Jim. Because Jesus wasn’t a tightwad. @Coley Ward, THE 3-source rule?? That would be the Bible, sir!